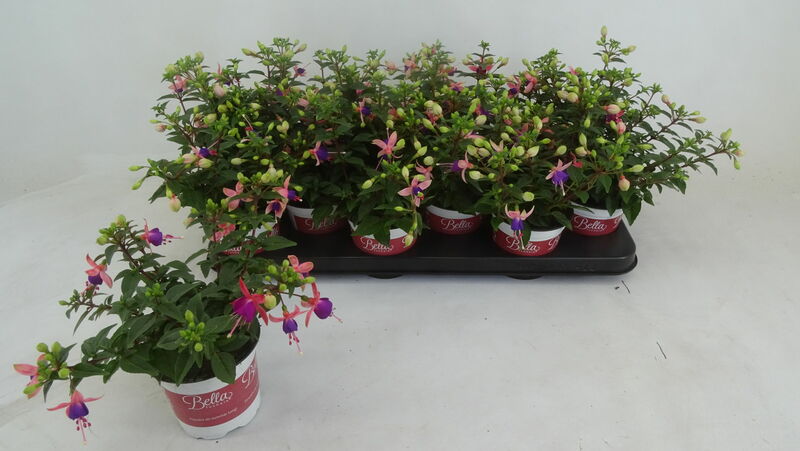 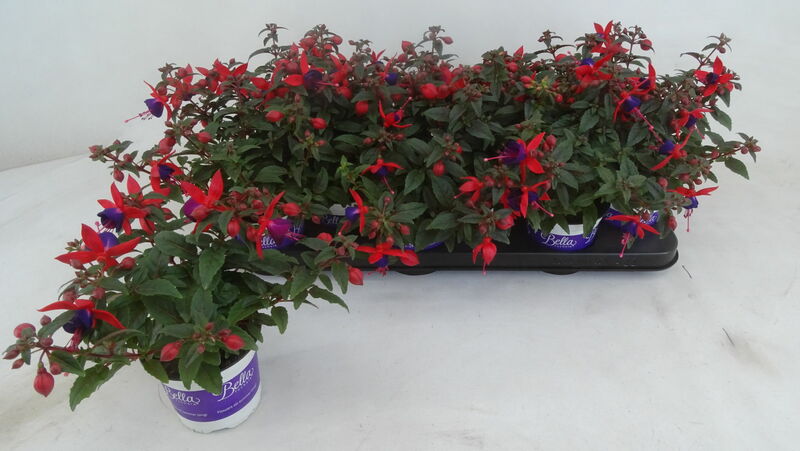 Since 2018 we grow our Bella Fuchsia’s in different pot colours (purple, pink, red). 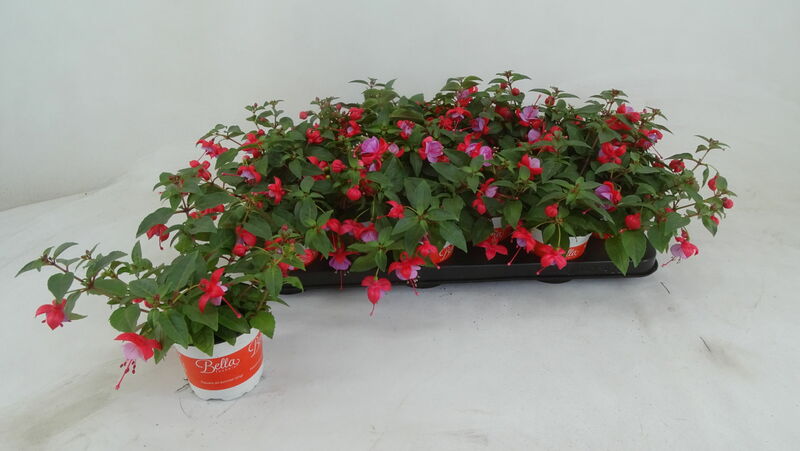 The pot colour matches theflower colour. 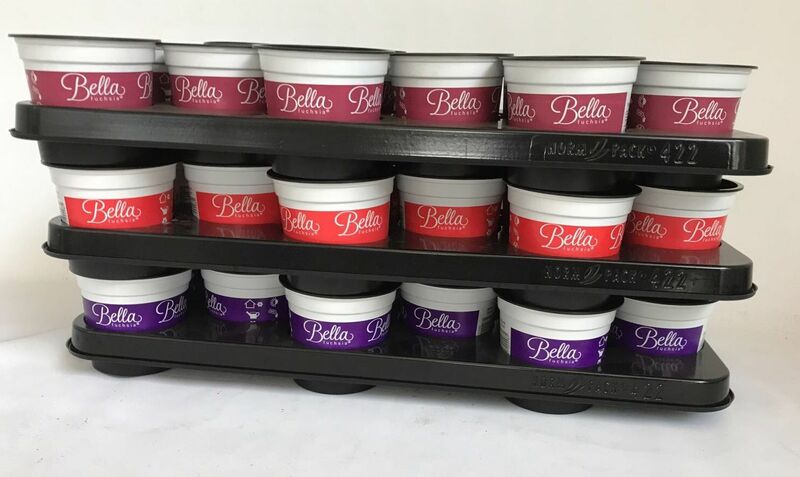 This creates a colourful product with a fresh look & feel. 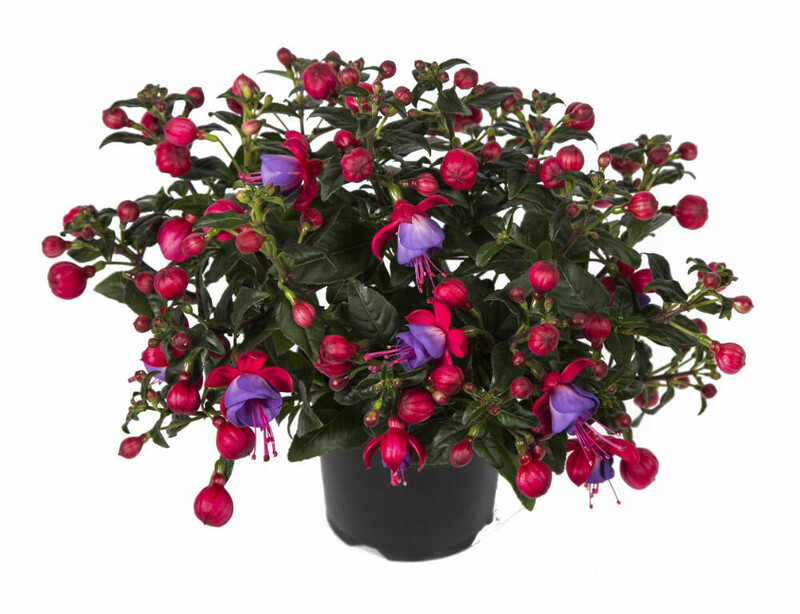 We produce a broad range of the Bella Fuchsia ® assortment. 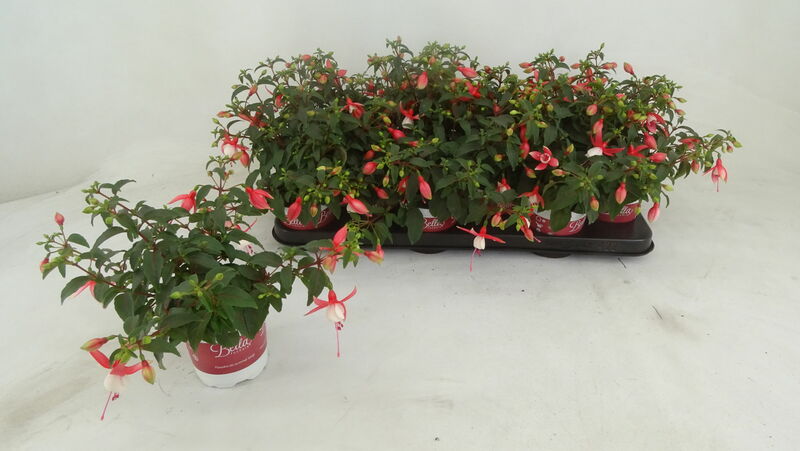 These varieties are known for their compact and uniform plants. 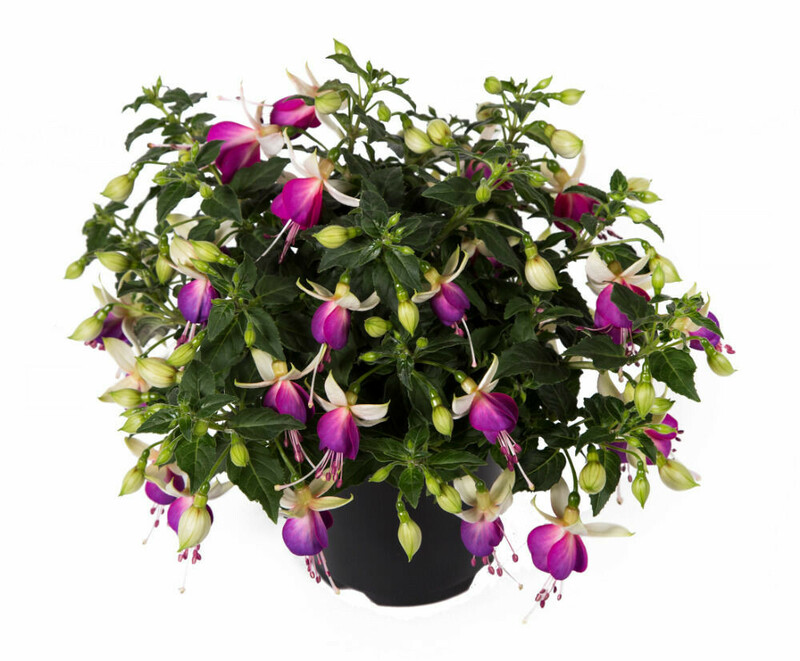 Moreover, the blooms have outward and upward facing flowers, meaning no more hidden blooms. 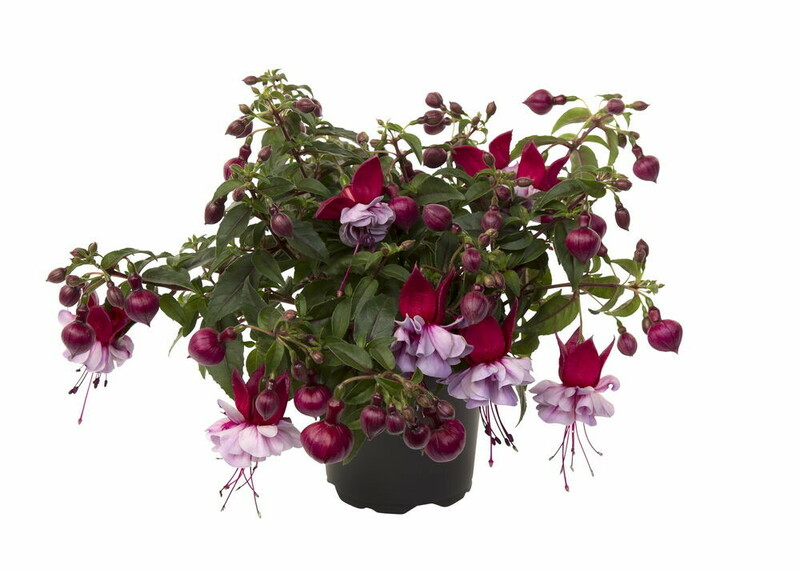 You can see their true beauty as they look at you, all summer long! 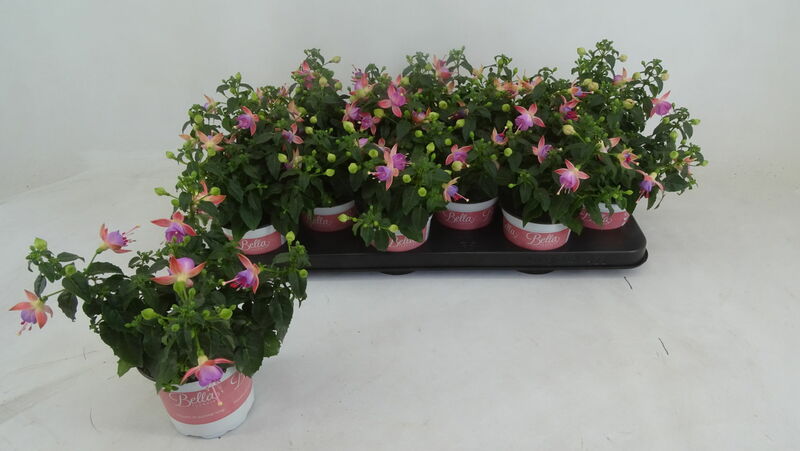 We are one of the first growers who started with Bella Fuchsia ®. 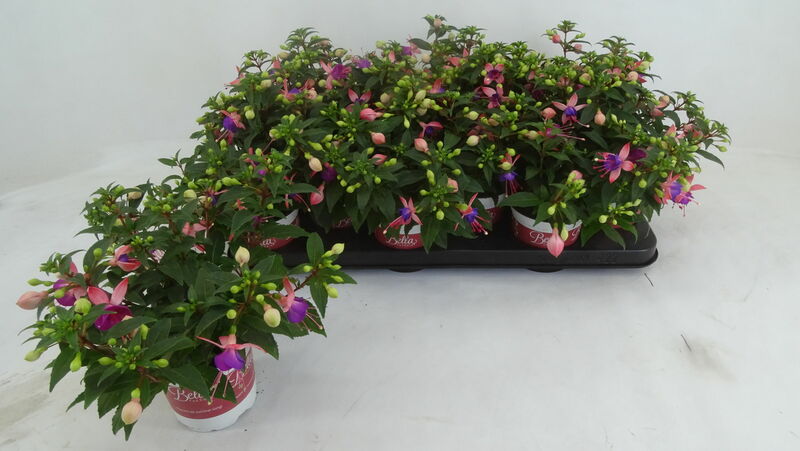 Every season we test new varieties in cooperation with our supplier Hendriks Young Plants. 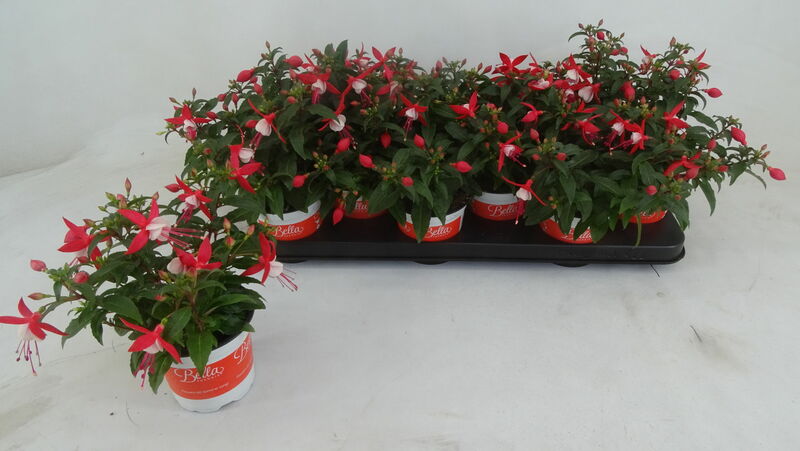 We are always looking for improvements in our assortment. 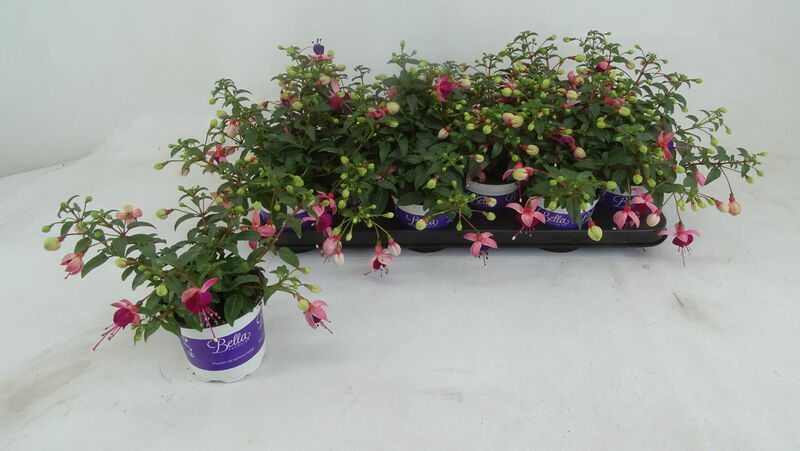 For season 2018 we have some new introductions. 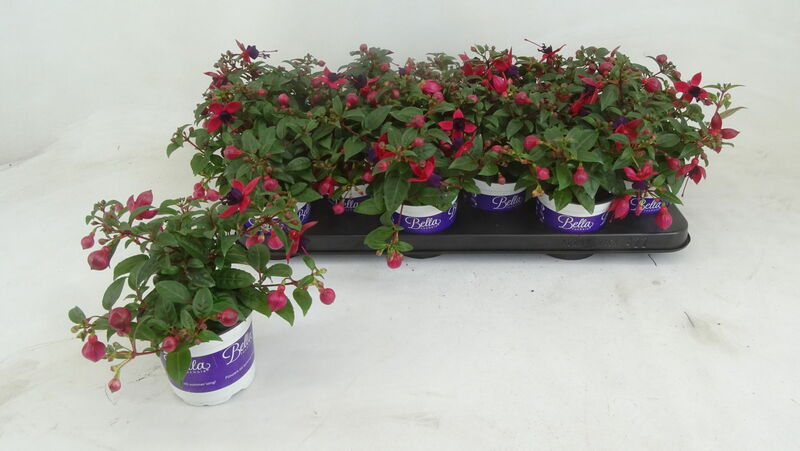 We have both semi-trailing and bush varieties in our assortment. 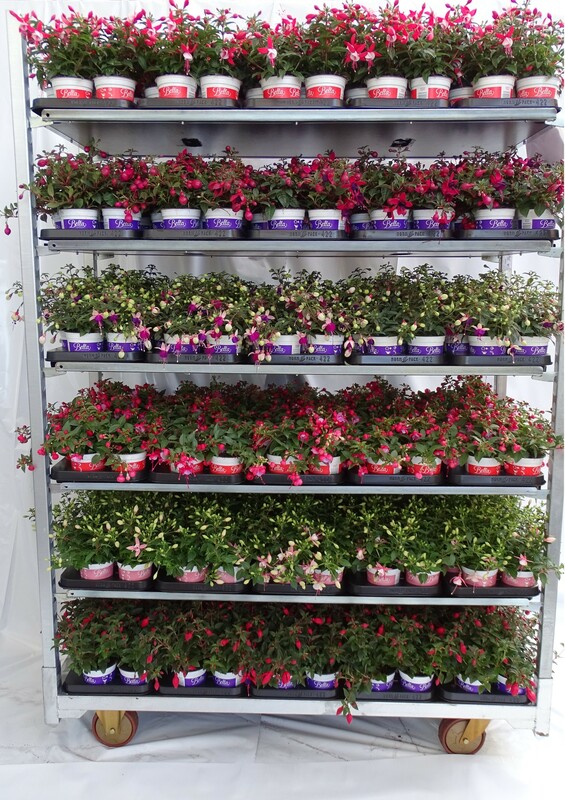 We always aim to deliver a colourful mix of varieties. 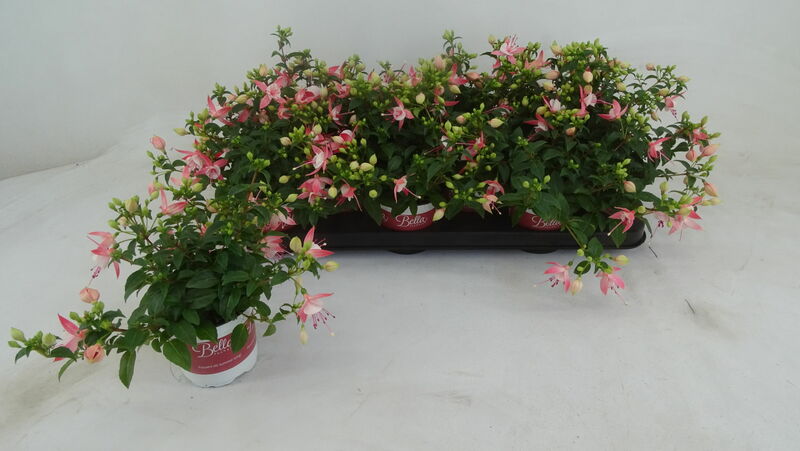 Barcodes Bella Fuchsia 10,5cm / 11 cm vol.